Video files are big. They take up loads of space on your computer or mobile device — up to 10.5 GB of space per minute of uncompressed 1080 HD footage! Large video files also require lots of bandwidth to send, download, or stream. If you’ve ever endured a buffering video, you know how painful a large video can be to watch on a slow internet connection. So, just about all videos are compressed before being uploaded to the internet. But striking the right balance between a small file size and a watchable end product is both an art and a science. While experienced video editors can debate the various merits of different formats and lossless vs. lossy compression, for most web videos, there’s no need to get quite so technical. In fact, if you’re using Biteable (and we hope you are!) you’re already in good shape. Videos made with Biteable are already compressed to the current industry-standard level of 627 kb/s with a resolution of 720p, which is ideal for online sharing. This means your downloaded videos will maintain high image quality while staying as small as possible. They’ll be quick to upload to YouTube and will stream smoothly for visitors to your website. However, if you want to compress your video file size even further, you have a number of options. 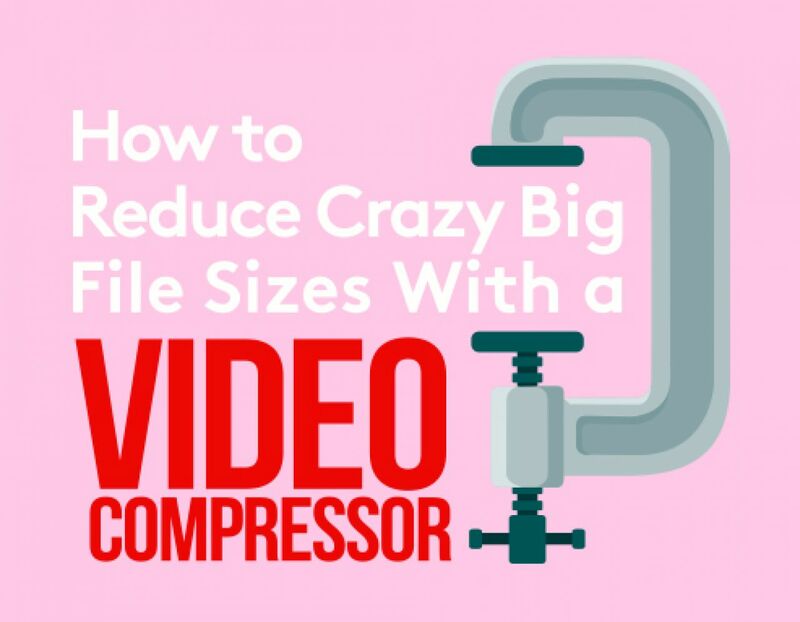 What’s a video compressor, and how does it reduce file size? A video compressor is a piece of software that reduces your video file size by removing details in the data. There are lots of different codecs (that’s short for coder/encoder) which are used to compress video files for different formats or programs. MPEG-4 (mp4) or WMV (Windows Media Video) are two you might be familiar with. But they all work in one of two ways. Lossless compression works by eliminating redundant information and is not typically used for the web. It’s more commonly used by professional editors who want to share video files with each other without losing quality. Lossy compression, on the other hand, noticeably removes detail. You can, however, still use a lossy method to compress an image or audio file quite a bit before most people will notice much of a difference. But if you compress a file over and over again, you’ll definitely start to notice a decline in quality (think pixelation and muddy-sounding audio.) So it’s always a good idea to keep a master version of your uncompressed video, just in case you ever want to convert it to a different format or do more editing on it. Most video compressors are also video converters. 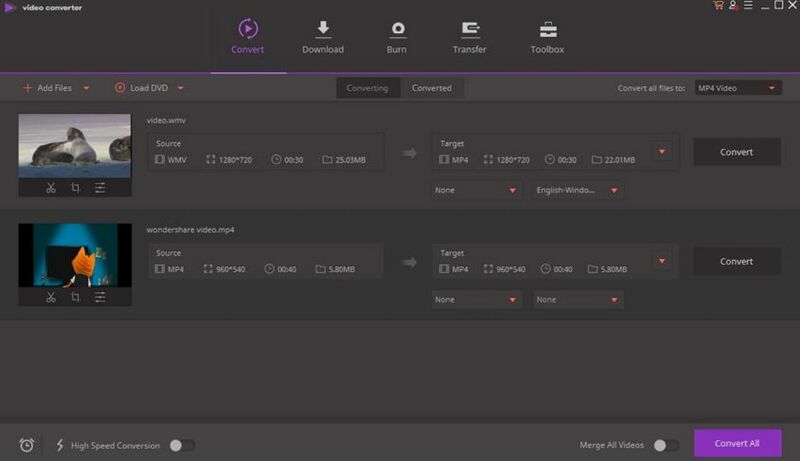 These allow you to convert a video from one file type to another, while also offering control over the final output size. We should note that many editing programs, as well as default programs like QuickTime also typically offer different file formats and resolution/bitrate options. A video compressor is usually a better way to go, however, as they will usually allow more control over the final result. 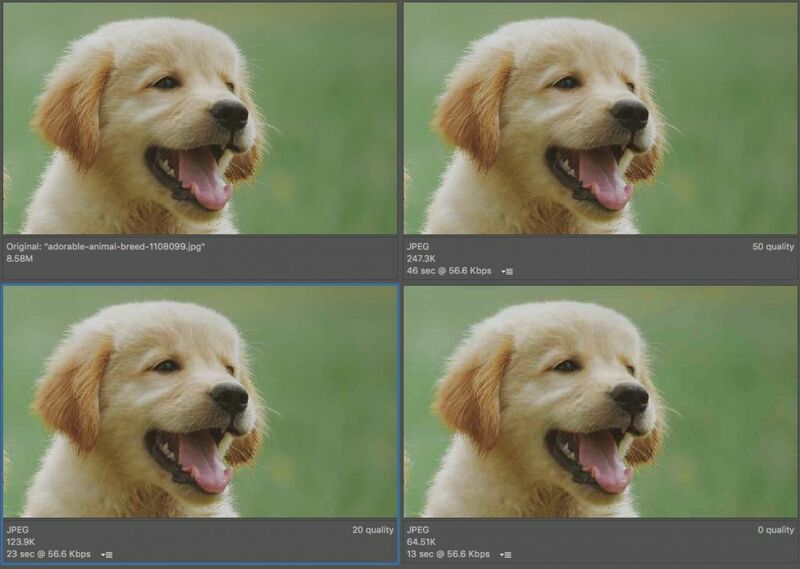 These online video compressors run in your browser, so there’s no bulky software to download. If you only need to compress videos occasionally, an online video compressor should be just fine. This free online video compressor allows you to convert from one video file type to another, and compress videos for a smaller file size. No limits on video length, no watermarks, and a wide range of resolutions, output sizes, bitrates, and more. Queue up multiple videos at once. Includes some editing tools — add a filter, crop/trim, adjust frame rate, or add your own watermark. Not as full-featured as Apowersoft’s paid program, Video Converter Studio. Runs entirely in your browser, but you’ll need to download the small launcher plugin. 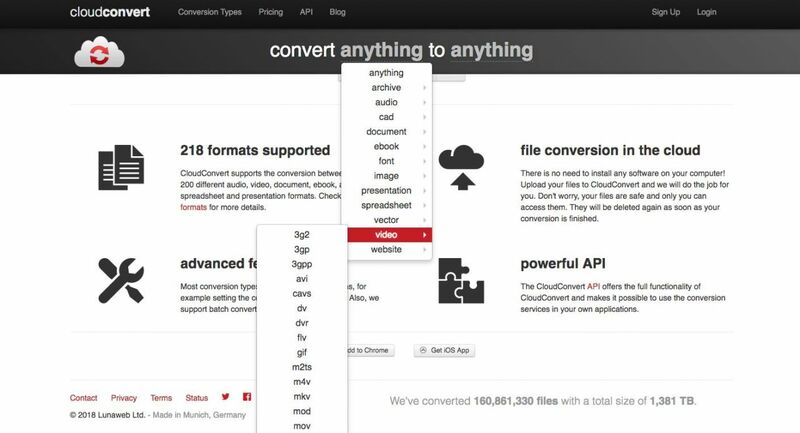 With CloudConvert supporting 218 file formats, you can convert practically any file type you can think of into any other one. Supports a massive list of more than 200 different video, audio, document, archive, image, and presentation formats. Free version can handle files up to 1GB in size and up to 25 minutes of video per day. Paid packages are reasonably priced, with an $8.00 option that gets you 500 minutes, or recurring subscriptions starting at $8USD/month. Select files from desktop, Google Drive, Dropbox, and others. If you don’t need to convert other file types (i.e. images, PDFs, presentations, etc.) you may find yourself with a lot of features you don’t need. In that case, you may be better off going with a video-specific tool. If you need to compress video on a Windows machine, you have a few good options. With over 93 million users, this Windows-only free video compressor is a popular option. It offers several different ways to reduce video file size, including multiple codecs, resolutions, and frame rate options. Supports 500+ formats and devices. No registration, time limits, or upgrade costs. Can also burn DVDs or export directly to YouTube. Limited editing tools — you’ll need another tool for anything but the most basic edits. Some features (like exporting from YouTube) are locked at first. You’ll receive a Web Pack unlocking these features after three days. Though the free version of this tool is fairly limited, the pro version offers a number of great features to help you compress video files quickly. 200+ video/audio formats supported including HD and 4K. Preset parameters for a wide range of devices. Batch convert video and audio files. Free trial, lifetime software license with upgrades is a reasonable $29.95. Although Wonderfox claims their conversion is 50x faster, some users say converting to/from 4K UHD is a bit slow. Pro version doesn’t include DVD features (those are in a separate product). But if you’re looking for a video compressor, that’s likely not a concern. 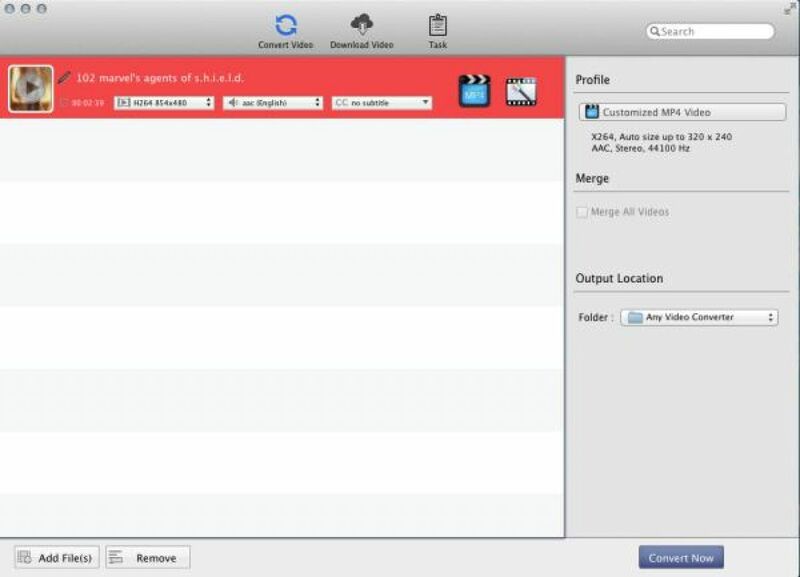 As we mentioned above, Apple’s default video program QuickTime does offer some tools to help you compress video files. But if you need a more robust video compressor, these are two good options. This free video compressor has no limitations and supports hundreds of video inputs, outputs, and devices. Also includes features to download or extract videos/audio and rip or burn CDs or DVDs. Allows you to compress video size to lossless quality and claims 30x faster conversion speed. Intuitive and streamlined user interface. Includes additional editing tools, filters, and effects. The Mac version seems to be lacking some of the Windows features, like 4K downloading and NVIDIA NVENC accelerated encoding. The program is free to use but does include other bundled software you may not want. Be sure to uncheck those options in the installer if you’d prefer to install only the video converter. Available for Windows and Mac, Wondershare’s premium video converter promises 30x faster speed and more than 1000 supported formats. Offers a range of settings and tools, including 8 different ways to reduce video file size. All-in-one tool also includes tools for downloading video, DVD burning, editing, streaming to other devices, and other features. Supports batch compression for reducing multiple video files at once. Easy to use with extensive online support documentation and tutorials. Most expensive option at $59.95 for a lifetime license, but a free trial is available. Some reviews say that Wondershare’s program has fewer built-in device optimization profiles than other video compressor/converter tools. Anyone who creates or shares videos online needs a decent video compressor. Depending on your video, you can opt to reduce file size by changing to a smaller size format, adjusting settings like frame rate, bitrate, or resolution or cropping/trimming your video’s length or size. All of these tools will enable you to compress video in some of these ways, and most support all of these video compression methods. The choice comes down to your system, budget, preferred formats, and how much control you want to have over optimization settings. Of course, if you don’t need that level of control, or don’t want to spend the time, you can always rely on Biteable to compress your videos to the perfect level for high-quality viewing and reduced file size without you having to worry about a thing.